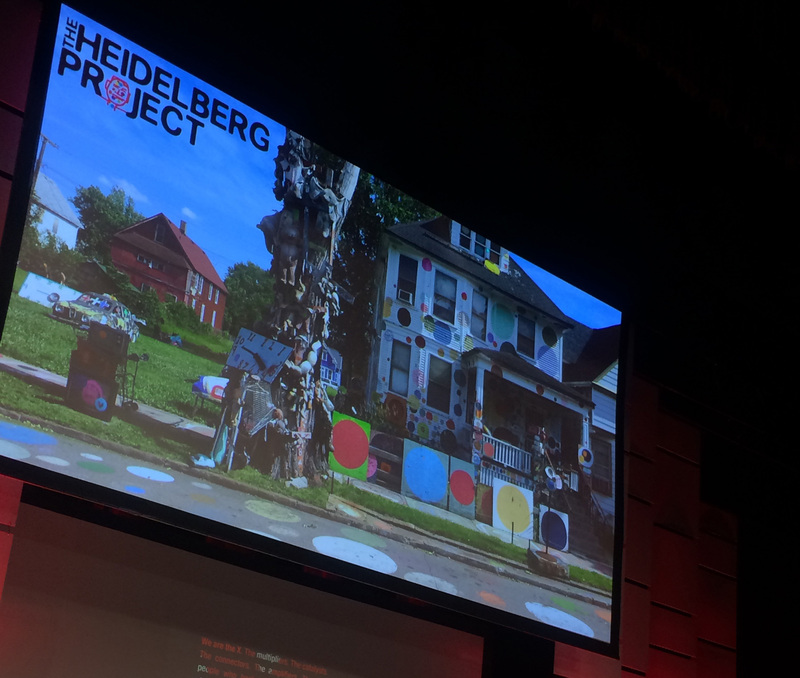 At TEDxDetroit, I was particularly struck by the drive of individuals and organizations alike to push forward and make technology work for their communities in truly impactful ways. Through their actions, they are steering themselves, and the world around them, into uncharted territory. It seems that as always, we are asking more of tech. We are no longer satisfied with a flash-and-bang magic act; we want innovation with a conscious, something that can foster lasting change that will inspire and empower. We are harnessing social media to create shared spaces of empowerment. Motivated by childhood memories of relaxing her hair to comply with school uniform codes, Lugiswa Moore created #mygirlsquad, a lifestyle blog geared towards women of color. The site is meant as a medium through which women of color are able to celebrate themselves and others. In this way, she aims to inspire a movement that will abolish negative stereotypes like the ‘Sapphire Caricature,’ which paints women of color as rude, loud or malicious. We are also breathing new life into how we define education in the STEM field. Paulette Atchung of the Michigan Science Center called attention to the lack of diversity in the sciences and the ways that she hopes to energize a new generation to pursue STEM careers. This means giving students role models that look like them, providing them with hands-on learning and sparking their creativity by posing challenging questions we don’t have the answers to yet. The way we document the world around us is also changing. With the drive to find more interactive ways to visualize change, Isobar’s Dave Meeker made a case for combining virtual reality and drone technology to document spaces that are evolving or being erased over time. He is putting theory into action by creating a virtual tour of the Heidelberg Project, an ever-evolving outdoor art project that is deeply embedded in Detroit culture. The tour is a living example of the ways that this kind of tech can have a hand in educating and inspiring future generations, while also preserving landmarks that have been so influential to our present. 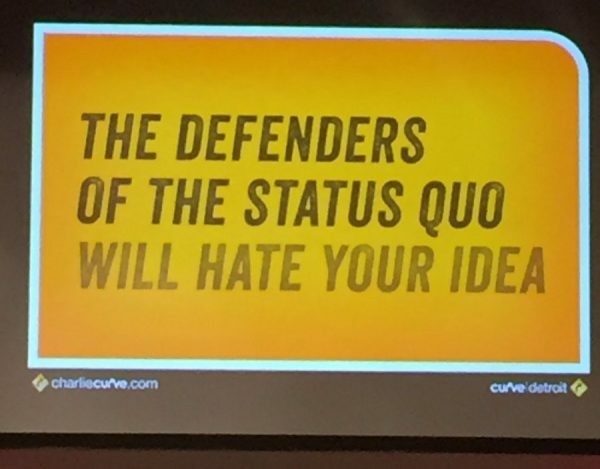 In the day’s opening remarks, we were told that, “the defenders of the status quo will hate your ideas.” Opposition to change is daunting, but one of the most inspiring qualities of the technology world is its inherent craving for bold forward momentum. Those who create are perpetually hungry for what’s next, and they aren’t afraid of resistance. Often, it’s what fuels them. They tirelessly challenge what is accepted, and demand that the world take note. I walked away from TEDxDetroit feeling inspired by this energy and excited by the prospect of putting tech to work for good.